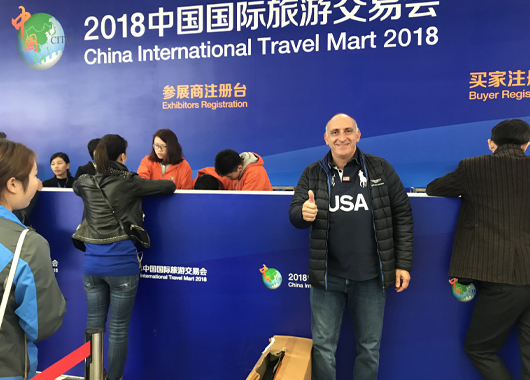 1st Virtual Traval Fair promoted at China International Travel Mart. Promotion of the 1st Virtual Travel Fair on Cultural Tourism (VTF) continues at the China International Travel Mart (CITM), being held in Shanghai from 16 to 18 November 2018. The Virtual Travel Fair will take place on 27 and 28 November and is a project funded by the European Commission, in the framework of the 2018 EU-China Tourism Year. More information about VTF and on how the register on www.ecvtf.org. 2Advice has been awarded the contract in August 2018 and has built the virtual environment in record time using the platform developed by Hyperfair VR, the technical support of I-Logics and the logistical support of Atlas International. All companies involved in the project are members of The Anchor Group and the collaboration and contract awarded by the EU Commission is a perfect example of the added value The Anchor Group to its members. 2Advice will showcase the Virtual Travel Fair by entering the environment using the latest HTC VR helmets. With 2,245 stands and a total exhibition area of 57,500 square meters, CITM has grown into the largest and most influential tourism fair in the Asia-Pacific region, serving as an important platform to create opportunities for domestic and international tourism cooperation.